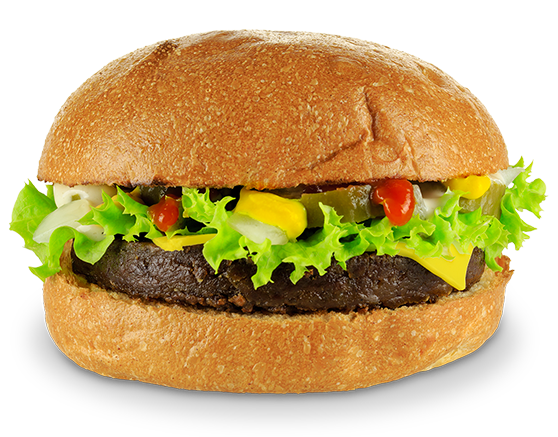 Cheeseburger lovers rejoice, our take on this fan favourite is packed with all the goodness of the original – minus the cow. Staying true to the American classic (well almost) our veg beef patty is topped with cheese, lettuce, sliced onion, tangy pickle and smothered in our very own Belgian Mayo, mustard and ketchup. Available vegan.